The power of a recording studio in the palm of your hand. 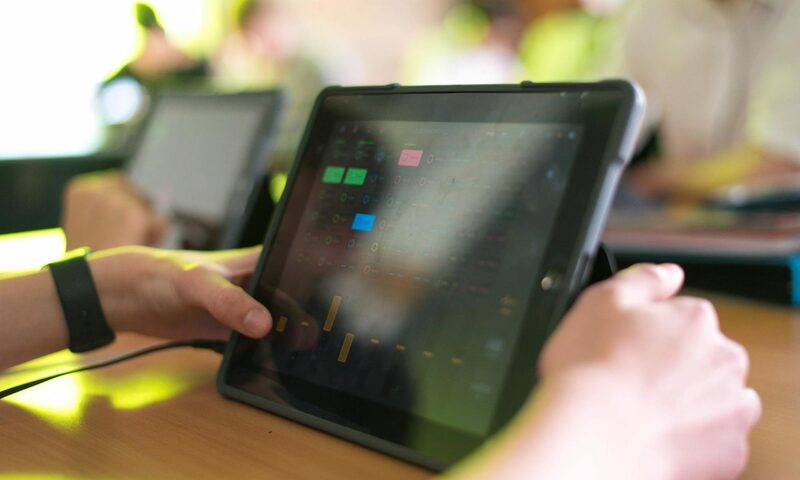 Experiment with the iPad as a music production tool. Capture sounds in your environment to build your own soundscape. Everyday objects can be used to create percussive and acoustic effects. Record these using our iOS device’s microphone. Stretch, reverse and modify each sound to create an abstraction from the original. Deconstruct, alter and re-imagine the sound. Learn midi, FX, and production techniques. Become a mobile studio, record and produce in your own classroom.